Wow! How sweet and caring is my husband!! After traveling, working, then traveling again, my house is a disaster. Really. It’s messier than it’s been in a long, long time. Yes, I have plans to bring out the Sink Reflections book (it’s the hot pink one in the recommended section on the right hand column of learningtobefrugal.wordpress.com), but let me just say that my menu is as unorganized as my home. I can tell you spaghetti, but I don’t know what else I plan to cook. Yup, that’s all I have right now! Yes, I have plenty of food in my kitchen. It’s just a matter of deciding what to do with it all! I anticipate that my menu will grow slowly over the week, and that when I have my head back on correctly, I’ll be able to plan better for next week! 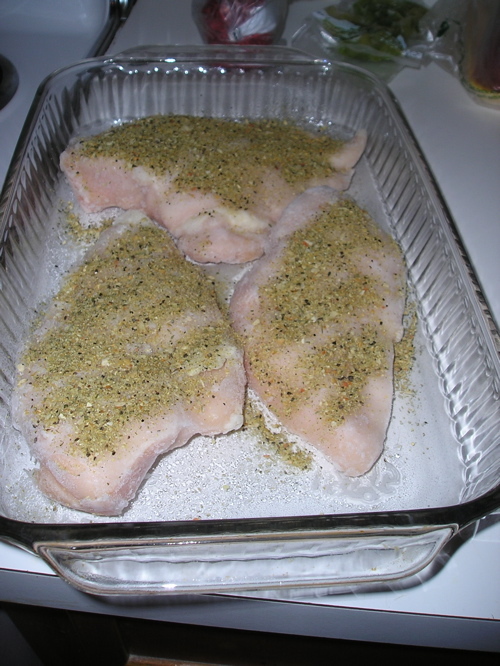 I must say that I would like to make more of an effort to eat healthier foods. Lately, I’ve been seriously letting my eating habits and exercise go, so I’m definitely wanting to pick things up a bit this week (and thereafter). Here’s to good organization, which leads to better menu planning! How Clean Is Your Treadmill? After I go swimming, I often have a lot of wet items that need to be hung up to dry. Before I purchased my swim cover-up, I would have to put my work clothes on over my swimsuit if I wanted to go into the grocery store on the way home. 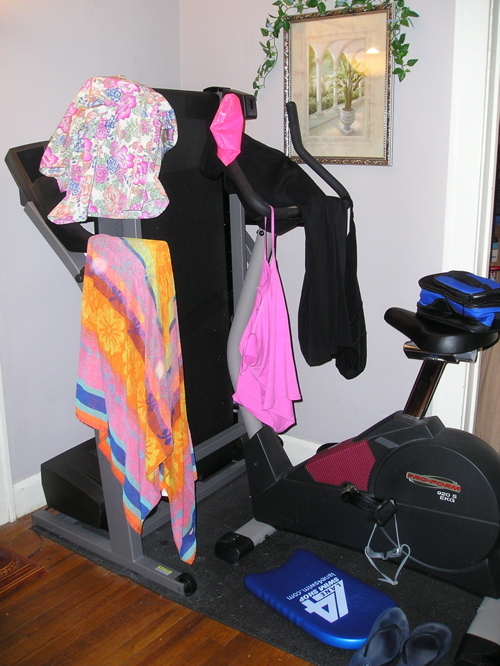 Here’s a picture of my treadmill and exercise bike, which often double as places to hang up wet items to dry. Can you spot the goggles? Like many people (I’m sure), my yarn just isn’t in one spot of my house. I’ve managed to group most of it on two shelves of a bookshelf, but I have additional yarn (mostly hot pink) and my knitting bags (more yarn, books, knitting needles, crochet hooks, etc.) under my desk. I have several projects in progress (Who doesn’t?). 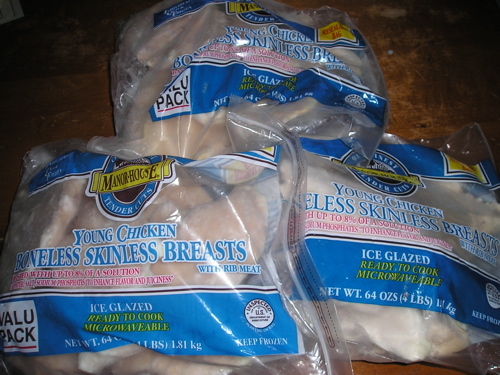 They’re too big to put in plastic bags, so I might look into inexpensive stacking baskets/boxes. Hmm? If you have ideas for how I can organize my yarn stash, books, needles, notions, etc., please post your comments. Here is a picture of the two bookshelves that are housing yarn (yes, I moved books to make room…). 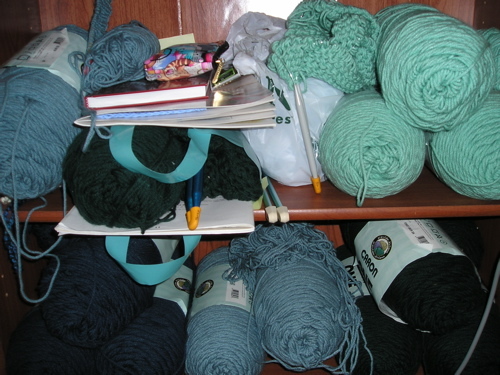 The light green project on the top shelf is a shawl (in progress). I won’t need all of the yarn that you see (Each skein is 1 pound!). The dark green on the top shelf is an afghan. The light blue on the left of the top shelf is a hat (Fair Isle, which I will pair with the dark blue yarn that you see on the left of the bottom shelf). I went to the plant nursery yesterday, with the intention of purchasing a tomato plant. They were out of vegetable plants (until the fall plantings come in), but they suggested that I might be able to grow cucumbers, squash, and peppers from seed. I purchased 1 pkg each of yellow bell pepper and summer zucchini squash seed. I planted 2 bell pepper seeds (spaced about a foot apart) and 3 zucchini squash seeds (in a small hill). In about 10 days, one of the types of seeds I planted (I can’t remember which) might come up. The other type of seed could be anywhere from 10 to 25 days to come up. Of course, the true battle will be getting the peppers and zucchini to make it until harvest! Yesterday’s weather was about 98-101+ degrees. As I spent the last week in a lovely place with temps in the 60’s and 70’s, I was definitely sweating yesterday! We have started having Game Night on Monday nights. We don’t sing songs or read scriptures, but at least we’re spending some quality time together at least once a week. It usually spills over, because we end up playing games additional nights during the week. When we have friends over for dinner, we also play board games (or Wii) after dinner. 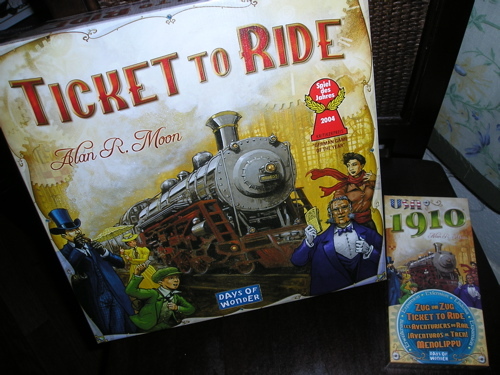 One of our favorite games to play is Ticket to Ride. There are different versions (mostly maps of European countries), but we currently own the United States version, as well as the 1910 expansion set (which is just larger playing cards with more destination cards). 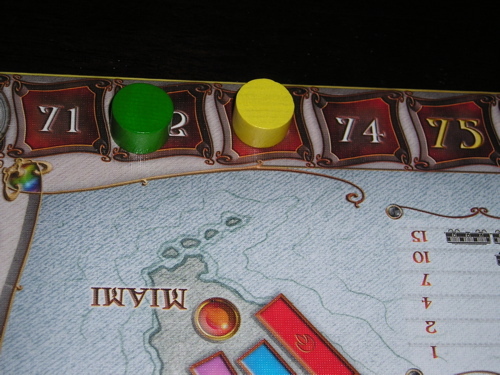 The object of the game is to get the most points by claiming routes between cities. To play, you may draw train cards (different colors, because routes between cities are different colors), put your trains between 2 cities to claim a route (if the route is 3 purple trains long, then you must play 3 purple train cards, but you get 4 points), or draw destination cards (one might say to go from Vancouver to Montreal for 20 additional points). Everyone has the same number of trains (playing pieces), and everyone plays until someone runs out of trains. Then, the game ends and everyone adds up points on their destination cards. 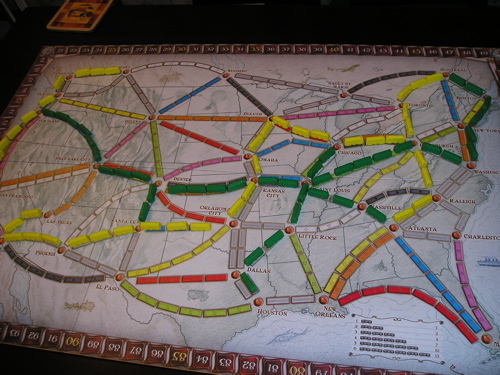 Thus, you don’t know who will win until the very end of the game, although you can get more points throughout the game by completing more destinations than everyone else and claiming longer routes between cities. 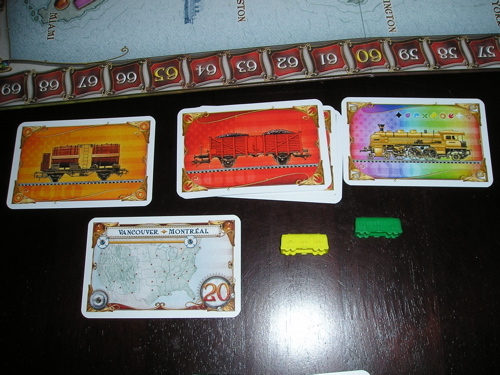 Here are some pictures of when my husband and I recently played Ticket to Ride. I’m not sure who won, but we were both within one point of each other.